A bunch of us in the podfic community wanted to contribute to halfamoon, so we have made an anthology of ficlets from the Awesome Ladies Ficathon. 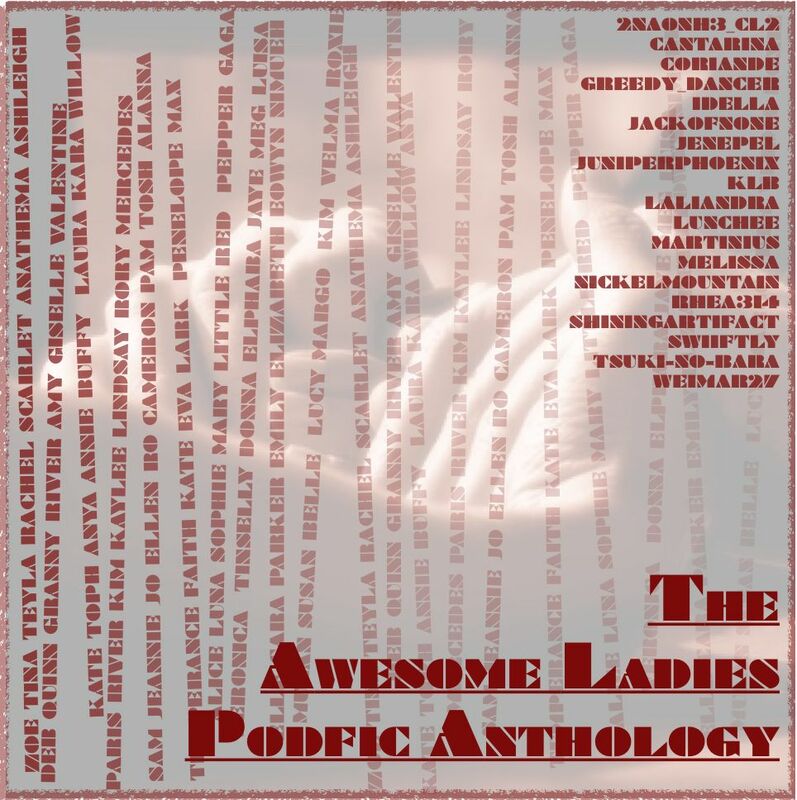 The anthology contains 73 stories, from 41 fandoms, performed by 19 readers. The beautiful cover art was designed by aneas. Total running time is 3 hours 39 minutes. *This link allows you to browse podfics by fandom. Thanks to the lovely authors who wrote the stories and gave permission for their stories to be used in this project, and to idella for her detailed and extremely helpful listen-through notes. I really enjoyed it! Thanks for letting me play.